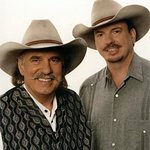 The Bellamy Brothers have lived in Darby, Florida, their whole lives on a ranch thirty miles from the Gulf of Mexico that has been in their family since 1870. They also have a beach house in Seaside, FL, which is why it comes as no surprise that the platinum duo is volunteering their time and support to help save the beaches they call home from the BP oil spill that is now making its way onto Florida’s shores. The event “Festival of the Beach 2010” will be held on the pristine beaches of Panama City Beach, FL and is hosted by Spinnaker’s Beach Club and 103.5 Hank FM on Sunday July 25, 2010 starting at Noon and will run throughout the night. The Bellamy Brothers will be headlining this event, and will feature special guest Shane Wooten Band who just released their new single “Running with a Redneck Crowd” featuring The Bellamy Brothers. All proceeds will be donated to BeachAid, the Surfrider Foundation, and ReclaimOurAmerica. When asked for comment on the up-coming event, Mayor Gayle Oberst of Panama City Beach stated the people of the Gulf Coast and Panama City Beach in particular appreciate the support and care that is being shown for our beautiful beaches and waters of the Gulf of Mexico. As we experience this great devastation of one of the United States’ most valuable resources, it is comforting to know that we have friends who will give their talents to generate interest and assist in recovery.